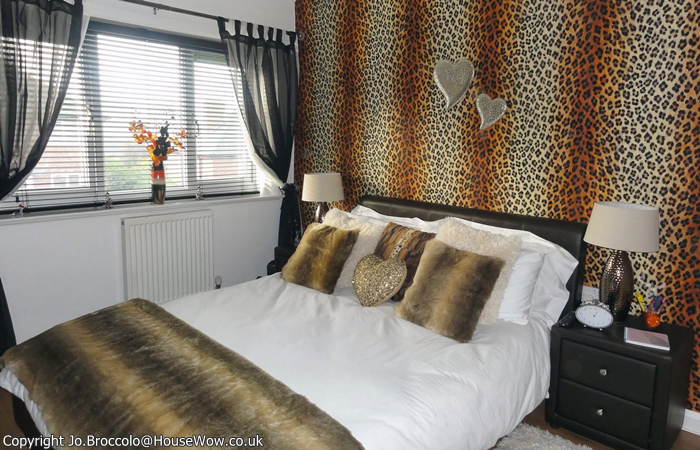 Teenager's bedroom makeover in leopard print design. 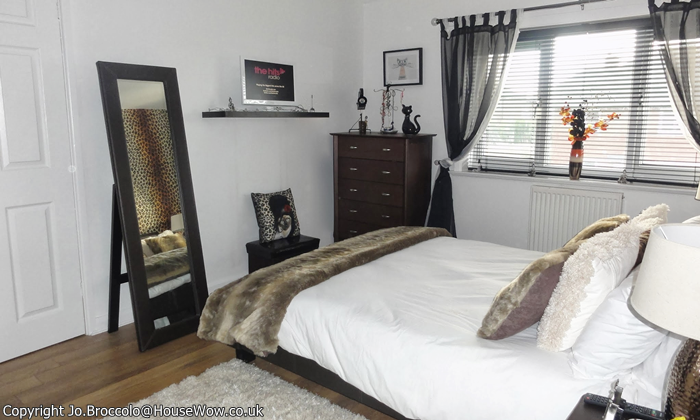 Bedroom makeover above with leopard skin print wallpaper and fur cushions and throw. "Kelsey is really pleased with her room. 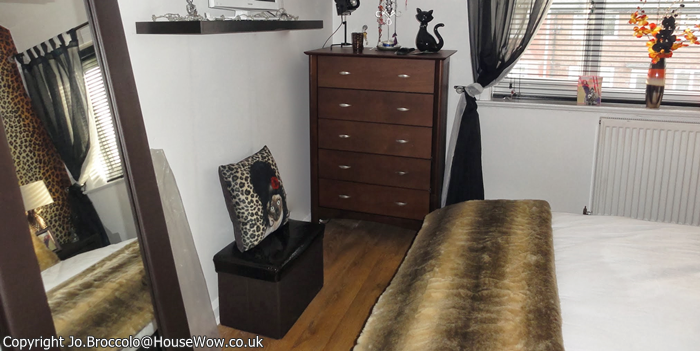 Thank you Jo for everything you've done for Kelsey, the bedroom makeover will never be forgotten." This teenage girl knew exactly what style she wanted when she had the opportunity. "Everything lepoard print and animal related!" she said. Jo, the Designer listened carefully to Kelsey's wishes and then set to work creating a scale floor plan to draft out the space and decide on furniture which would fit the room and layout and also suit Kelsey's particular needs. After careful planning Jo returned to show Kelsey samples of fabrics and wallpapers and make final decisions. The Trades people were booked for painting and decorating, floor fitting and an aerial point. The timetable was set and the work began. One week after commencement and the bedroom makeover was completed in time for Kelsey to enjoy her new room for Christmas. 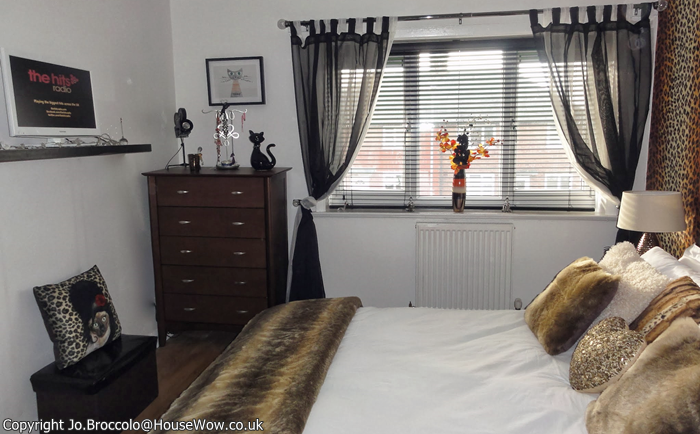 HouseWow are proud to support the work of Make-A-Wish Foundation ® UK. To make a donation to Make-A-Wish please click the link below for more information.